Congress May Balk At Higher Taxes On Investments Under President Reagan, capital gains were taxed at a higher rate than earned income. Since then, the situation has reversed, and unearned income, the province of the very rich, is taxed at a significantly lower rate than most workers' wages. Polls show the public supports changing this. Will Congress? 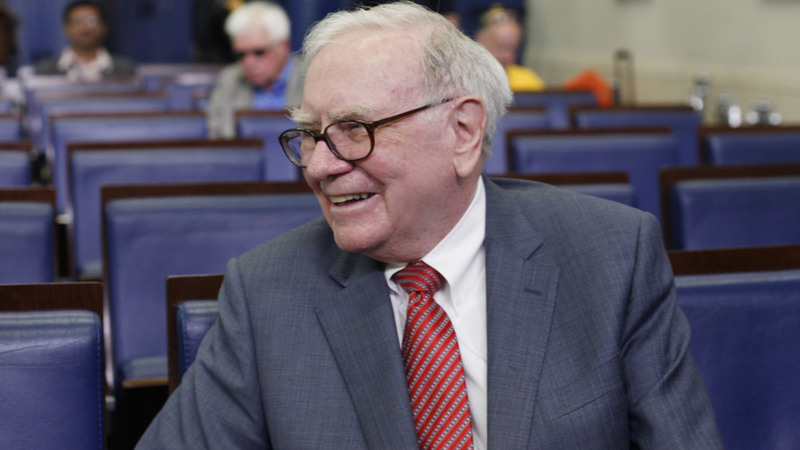 One part of the president's deficit-reduction plan, the "Buffet rule," is named after billionaire Warren Buffett who says high-income earners like him should pay more in taxes. Last December, President Obama signed into law a two-year extension of what was originally supposed to be only a temporary 15 percent tax rate for capital gains and dividends. But the president made clear at the time he would have rather let that tax break expire for top income earners. Congress reduced the tax rates eight years ago in the name of boosting the economy, but they've proved a windfall for some of the nation's wealthiest. Speaking at the White House earlier this week, Obama lamented what he called "unfairness" in the nation's tax laws. "It is wrong that in the United States of America, a teacher or a nurse or a construction worker who earns $50,000 should pay higher tax rates than somebody pulling in $50 million," Obama said. He added that anyone making more than $1 million a year should be taxed at least as much as average American families are. He called this the "Buffett rule," after the billionaire investor Warren Buffett. Last year in an interview on CNN, Buffett acknowledged paying a lower proportion of his income in taxes than does his secretary. "I have a lower tax rate, counting payroll taxes, than anybody in my office and I don't have a tax shelter," Buffett said. "I just go take the form and fill out the numbers, and I think that's very wrong." Buffett is among the one-tenth of 1 percent of Americans who collectively receive nearly half the tax savings from the capital gains and dividends rate. It wasn't always that way. During Ronald Reagan's presidency, the tax on capital gains was 28 percent. It dropped down to 20 percent during the Clinton administration. And a decade ago, under the presidency of George W. Bush, Republicans in Congress started pushing to lower that rate to 15 percent. Former Senate Minority leader Trent Lott spoke out on the topic a few days before the Sept. 11, 2001, attacks. "It may be necessary for us to, to act on [a] capital gains rate cut because it will clearly cause a growth in the economy," he said. "It always does." Congressional Democrats pushed back. Senate Budget Committee Chairman Kent Conrad warned at the time that such a cut in the capital gains rate would disproportionately benefit the most affluent Americans. "This is not the time where that's the medicine that helps the illness that this economy faces," Conrad said. "I mean if we're serious ... [a] capital gains reduction will give you a short-term boost in income, cost you income in the long term." Two years later, a Republican-controlled Congress approved the tax cuts on investment income. Arizona Republican Sen. John McCain was one of the few Republicans who voted against the cuts, saying "they weren't good economic times" and citing their $350 billion price tag. But McCain is now equally opposed to letting the capital gains and dividends tax cuts lapse. "We don't want to raise taxes on anybody when we're in tough economic times," he said. Yet recent polls show wide public support for raising taxes on the wealthy. And ads with actors saying they are Warren Buffett's secretary, sponsored by MoveOn.org, are hitting the airwaves this week. "Most Americans want Congress to raise taxes on the wealthy. But the GOP refuses to do it. Why?" the MoveOn.org ad asks. "Call Congress and tell them: Raise taxes on millionaires and billionaires so all Americans pay their fair share." A MoveOn.org advertisement urges people to call Congress to raise taxes on the wealthy. Some lawmakers are heeding such calls. Democratic Sen. Carl Levin of Michigan is pushing for restoring the tax rates for capital gains and dividends to those of the Reagan era. "President Reagan is not well-known for having high tax rates. And restoring those rates will not have a chilling effect, but will introduce a greater measure of fairness in the tax code," Levin said. But Republicans seem headed in the other direction. Pennsylvania Sen. Pat Toomey, who's a member of the deficit reduction supercommittee, sees nothing wrong with the current rates. "My own personal preference would be lower still and certainly not higher rates on capital because it will only choke off economic growth," Toomey said. The notion that low taxes on capital gains spur the economy was challenged by Syracuse University tax expert Leonard Burman, who testified last week before the Senate Finance Committee. "I looked at the relationship between capital gains and gross domestic product over 40, 50 years, both current and with lags, there's zero correlation," Burman said. "If there is a relationship between capital gains tax rate and the economy, it's really subtle, it doesn't just jump out of the data." Still, in a sharply divided Congress, there seems little prospect Warren Buffett will have to pay higher taxes anytime soon.